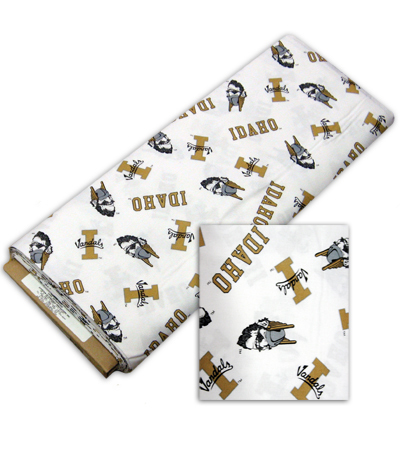 100% white cotton fabric with University of Idaho logo all-over pattern including the I Vandals logo, IDAHO, and Joe Vandal. Sold by the yard. Width is 43-45 inches.